Last Call on BIG Savings! 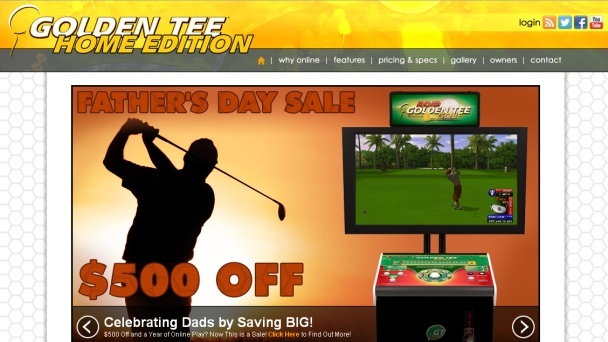 June 1 is coming up fast, and the Golden Tee Home Edition Father’s Day Sale will soon be gone. Order your game before the end of May—for dad or yourself—and save $500 on your purchase. AND you’ll get a year of online play on us! That’s how much we care, dads. 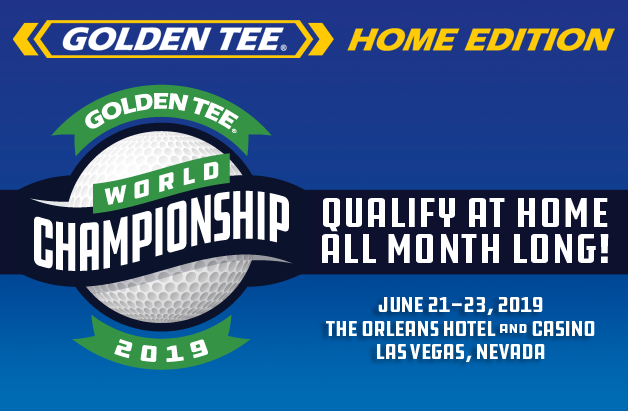 Live Glory tournaments, Stats play, high-performance clubs and balls, tees, YouTube uploads and access to all 40 LIVE courses is just the tip of the iceberg when it comes to the Golden Tee Home Edition. Monitor your progress by tracking your stats by swiping your card, and bring the same Golden Tee greatness that you’ve grown to love to your home. Home.Goldentee.com has all the new and exciting features, specs and other information you need—including a look at what this beautiful Showpiece™ would look like in your home. Spoiler Alert: It looks very nice. Interested? Contact us with questions regarding the game. Or, if you’ve heard and seen enough, order the game before the calendar flips and the sale is gone! There’s still time, but not much!